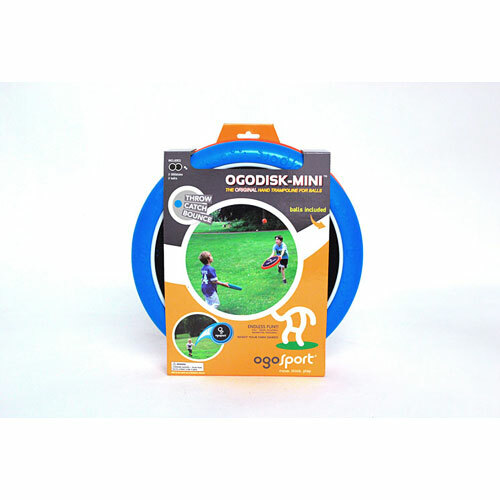 Like the rings of a flying saucer, the OgoDisk Mini set is going to amaze kids! This outdoor toy is completely adaptable to different sports and types of play, making outdoor play fun and exciting! 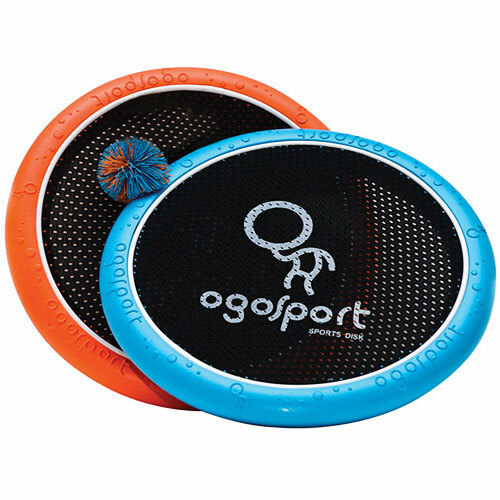 Featuring 2-12" durable foam rings with high-strength elastic membrane in the middle, this action-packed toy lets kids catch and throw balls up to 150 feet, use it for any sport! This set also comes with a sport koosh ball for action packed play. 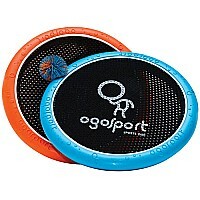 OgoDisk Mini is a fun concept and a great way to burn off extra energy. 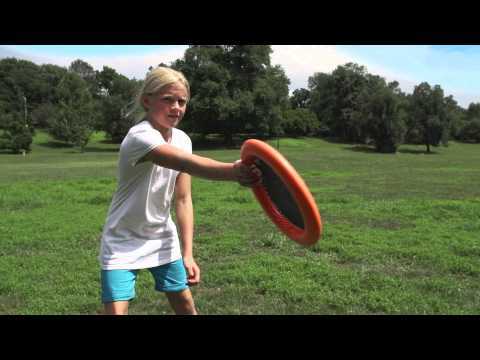 Disks are soft and easy to grip—even for little kids. From OgoSport, for ages 4 yrs-teen.